A laser is a device that emits a specific source of light, where the light rays are concentrated into a light beam bearing specific properties, such as a very narrow bandwidth, a high level of coherence, parallel rays of light and high intensity. The word LASER is an acronym for Light Amplification by Stimulated Emission of Radiation. It is to be borne in mind that there is no radiation in a laser beam and therefore the latter has no radio-active effects. A laser is, in fact, a light amplifier and a laser beam is just a concentrated beam of light. Can lasers be used to treat people? Lasers were used in medicine almost as soon as they were invented in the early sixties. Today more than some 100 types of lasers are definitely being used in various fields of medicine to treat people with different pathologies and millions of treatments have already been carried out around the world with the use of lasers. From the hair roots on the head till the nails on the toes, there is no such area or organ in the human body that cannot be treated by lasers today. Eventually, lasers which are used to treat medical problems in people are known as medical lasers, and those used to treat aesthetic problems are known as aesthetic lasers. How many types of medical lasers are there? There are two main types of medical lasers, namely low-power lasers and high power lasers. Low-power or low-intensity or low-level lasers are used for therapeutic purposes - anti-inflammatory effect, pain-killing effect, improvement of blood circulation, stimulation of immune system, regenerative effect, repairing effect, and others. High-power lasers are used for surgical purposes - mainly to cut, coagulate and destroy undesirable growths, be they skin growths such as skin tags or skin cancer or any form of internal growths such as polyps, malignant tumors (cancers) and even benign tumors. No, lasers do not cause any cancer. No mutational changes have been observed resulting from light with wavelengths in the red or infrared ranges in doses used within laser therapy. On the opposite, lasers are nowadays being widely and successfully used to treat various types of cancers and are called Photo-Dynamic Therapy (PDT) Lasers. Photo-Dynamic Therapy (PDT) is a treatment that uses special drugs, called photosensitizing agents together with laser light to kill cancer cells. The drugs only work after they have been activated or “turned on” by specific types of laser lights. For the treatment of internally located cancers, the photosensitizing agent is injected into the bloodstream through a vein. For the treatment of skin cancers, the photosensitizing agent is directly applied to the skin. Over a certain amount of time the drug is absorbed by the cancer cells. 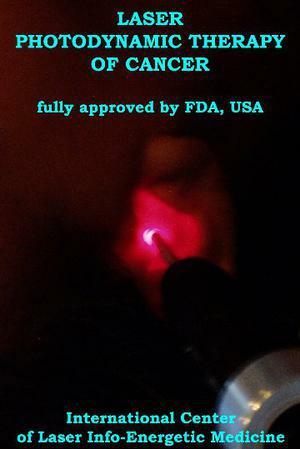 Then laser light is applied to the area that requires treatment. 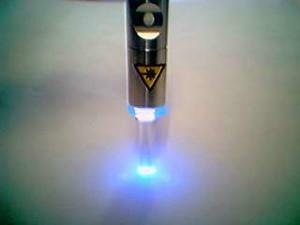 Laser light causes the drug to react with oxygen, which forms a chemical that kills the cancer cells. PDT may also work by destroying the blood vessels that feed the cancer cells and by alerting the immune system to attack the cancer. The period of time between when the drug is given and when the light is applied is called the "drug to light" interval. It can be anywhere from a couple of hours to a couple of days and depends on the specific drug used. Why are some people afraid of lasers? A lack of knowledge about lasers may get people to be afraid about them. The use of laser guns in science-fiction films tend to make people think that all lasers are guns that are used to destroy only. In this era of information technologies, people can easily get informed and find out that medical lasers also do exist and are currently being used to treat people and help restore their health and beauty. People often get wrong information about lasers from the people surrounding them who know nothing or too little about lasers. Medical doctors who are laser experts would be the right professionals who need to be contacted for receiving proper information on lasers and their applications on the human body. Can lasers be safely used on coloured (brown or dark) skin? Yes, lasers can be safely used on colored (brown or dark skin) by experts in the field of laser medicine and surgery. There has been a lot of evolution and progress since the times lasers started to be used on colored skin with various hazards occurring. Nowadays, lasers are widely used for different purposes on white, black and asian skin. Are lasers so vital and beneficial in maintaining human health? Yes, nowadays lasers are being used more and more widely in various fields of medicine and they are proving themselves to be a vital part of medicine as they are being beneficial to people in improving their health and treating earlier non-treatable or hardly treatable diseases. From here, do arise laser medicine and laser surgery.